Floral Embroidery Cushion Cover Size: 20" x 20"
Adorned with stunning pompom, this floral embroidered cushion cover adds a decorative touch to your room. Perfect on a sofa or bed, this decorative cushion cover is sure to stand out. 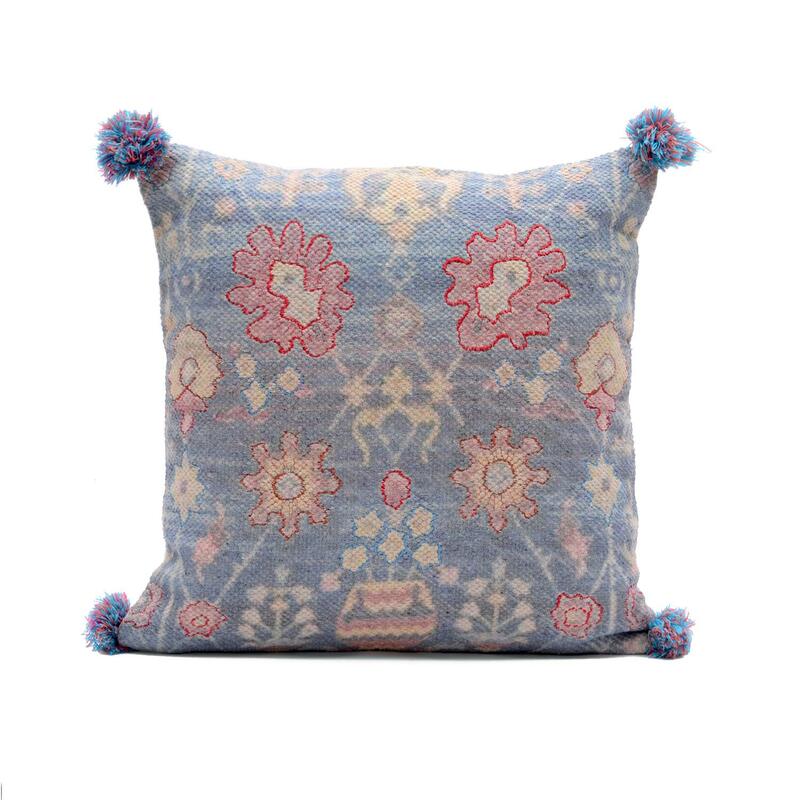 This cushion cover is woven from 100% cotton, giving it a plush texture that is extremely soft to the touch.